Made of unbreakable vinyl with the refractive index of glass. Suitable for wet mounts and temporary preparations. 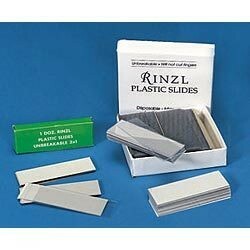 144 slides per box. Made in USA.